Broodthaer's first survey in the United Kingdom and, like the survey a year later at the Boymans van Beuningen in Rotterdam, the show and book feature some of his lesser known works. 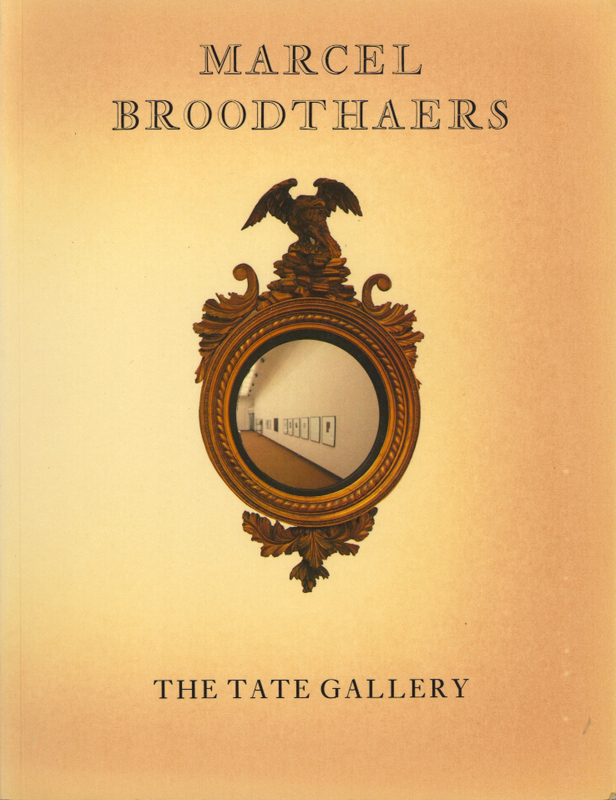 Texts by Broodthaers, Barbara Riese, and Michael Compton, then Keeper of Exhibitions at the Tate. Also contains a copious checklist of the exhibition. London: Tate Gallery, 1980. Illustrated, 126 pages. English.